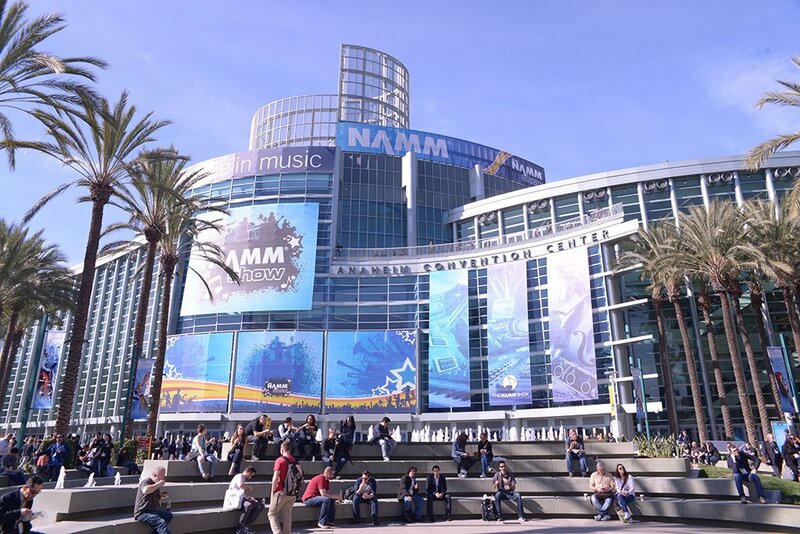 The NAMM 2016 Show was in full swing this year with over 6000 companies presenting their products at the Anaheim Convention Centre in California. 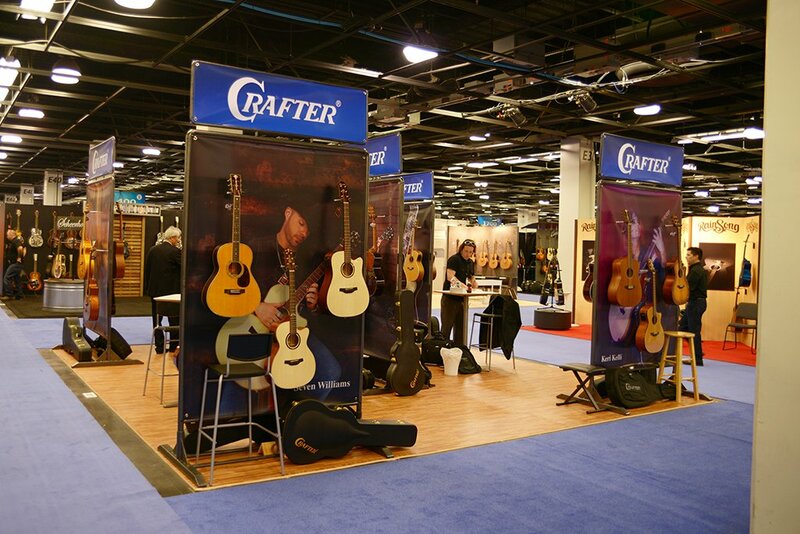 Crafter Guitars were there with representatives from South Korea, the USA and UK to present new guitars models for 2016. 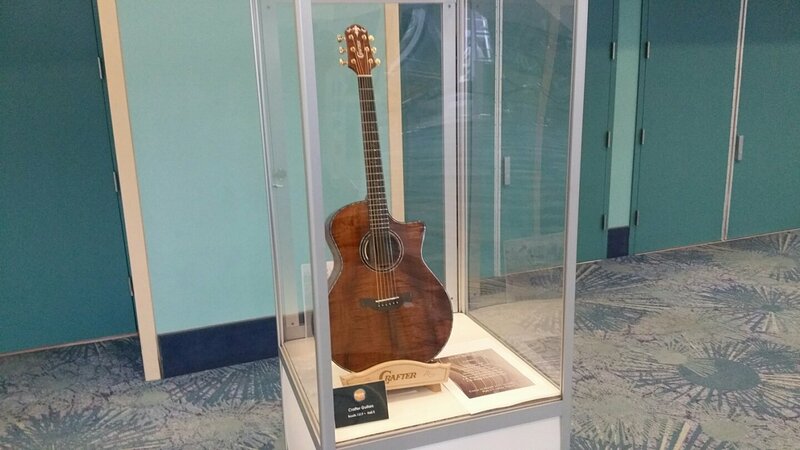 Crafter made an early impact at this year’s show by placing a new solid Koa (KGLXE-9000) guitar in a presentation case at the show’s entrance. A fine guitar with Rosewood and Abalone detailing plus the new LR Baggs Anthem preamp and pickup system. 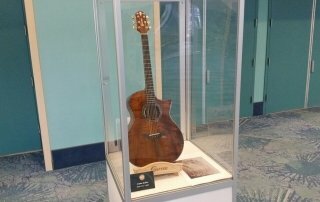 A fine guitar made to turn heads and introduce Crafter to visitors. 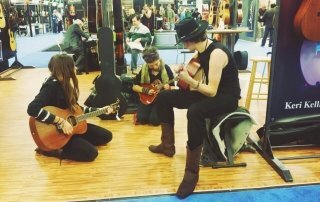 This guitar was complimented by a stunning solid German Spruce and Rosewood KGLXE-7000 on the stand. 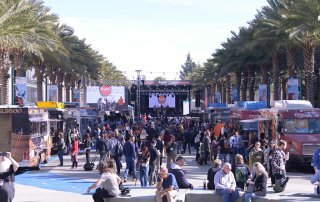 Following Crafter’s recent success with their mahogany series guitars the company has designed a new traditional styled TM80-BR model, which was demonstrated by Keri Kelli (of John Waite / Alice Cooper Band) on the Crafter stand. This new mahogany model features a redesigned slotted headstock with a softer curved top. This new style of headstock is now being introduced across all traditional styled guitars in Crafter’s guitar portfolio for 2016. A welcome visitor the stand also included Lloyd Baggs (AKA L.R. Baggs). 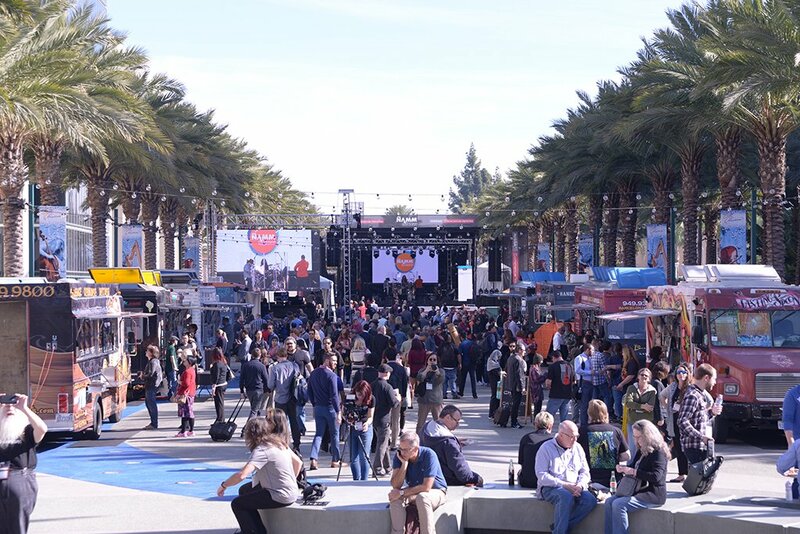 Lloyd joined Crafter’s CEO, Injae Park, on the Crafter stand to discuss ideas for some new pickup systems. 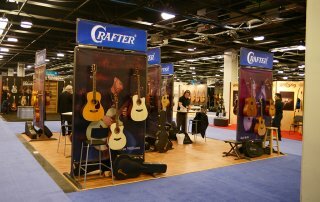 Crafter have had a long relationship with Lloyd and his preamp/pickup technology in their guitars. 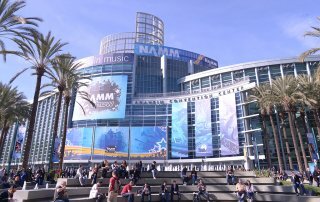 Lloyd and Injae are the innovation and brains behind many of Crafter’s unique electronics including the new Anthem preamp and pickup. 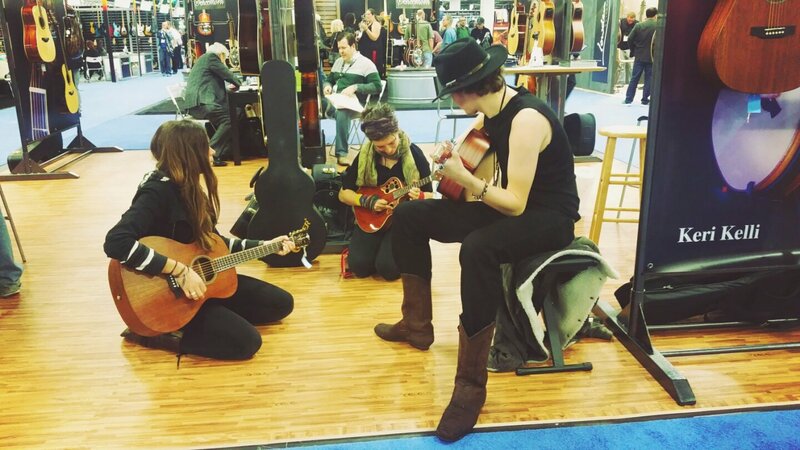 There are not many Crafter electro-acoustics that do not have Lloyd’s name on them! Keep your eyes out for the new CRT-LV (LCD Tuner) which will be coming to Crafter guitars later on this year.